The organizers have secured a variety of accommodation in The Hague at preferential rates for EGC 2019 delegates. Block reservations with guaranteed availability and rates are made at the hotels listed below. In order to get a reservation at the hotel of your preference, please make your reservation as soon as possible. Please go to the official bookings website for more information about the hotel, availability & rates and to make your reservation using the links provided below. The Hague is easy to reach from anywhere in the world, with access to two international airports and train stations. Furthermore, The Hague has an outstanding and sustainable system of public transport, which makes it easy to find your way around the city. Trams and buses are extremely efficient and punctual. While the entire public transport network functions remarkably well, an alternative worth considering is walking to your destination within the town. 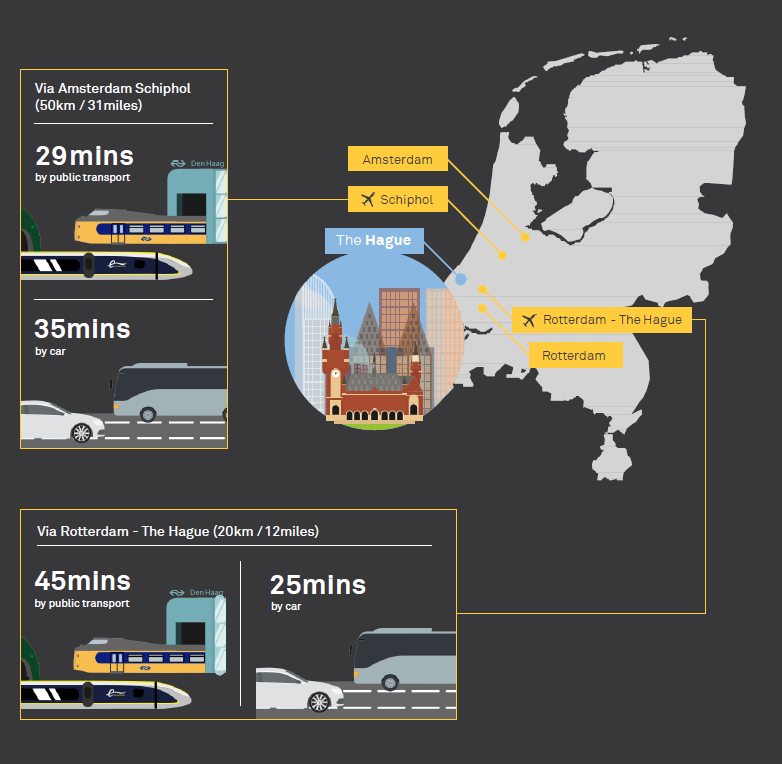 The Hague, from the very centre all the way to the beach, can be traversed in under an hour.